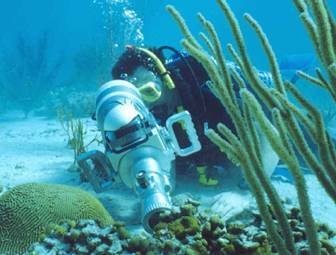 The U.S. Department of Defense (DoD) maintains numerous facilities in tropical and subtropical environments that are adjacent to coral reefs. Coral reefs are specifically susceptible to anthropogenic insult and rapidly degrade worldwide. The development of advanced technologies for environmental monitoring of benthic communities under DoD jurisdiction requires an understanding of how different environmental factors affect the key elements of the ecosystems and the selection of specific monitoring protocols that are most appropriate for the identification and quantification of particular stresses. Documenting the environmental state of reef communities is critical to developing remediation strategies that can both reduce anthropogenic impact and distinguish between natural stress and anthropogenic factors potentially related to military activity. The quantitative assessment of the impact of stresses requires the accurate knowledge of baseline biophysical, optical, and genetic parameters for “healthy” coral reef communities. Due to natural variability within populations and diversity amongst species, these parameters vary both within and between species. to collect an extensive library of baseline data on physiological, biophysical, bio-optical and genetic diversity of coral reef communities near DoD installations. Rapid and non-destructive assessment of the health and viability of benthic photosynthetic organisms is based on the use of variable fluorescence technique. This technique relies on the relationship between the efficiency of photosynthetic processes and chlorophyll fluorescence and derives a comprehensive suite of fluorescent and photosynthetic parameters of the target (Kolber et al. 1998; Gorbunov and Falkowski 2005). 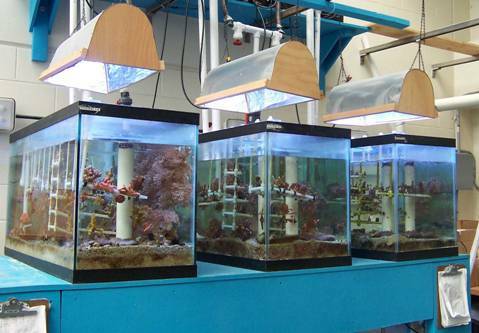 In laboratory and field experiments, we study the impact of common natural stresses (elevated temperature, excess irradiance, and nutrient load), and selected anthropogenic stresses (like toxic pollutants) on the physiological status of coral. Our results provide scientific background for the development of advanced protocols for non-destructive assessment of the health of coral reef ecosystems. The molecular biology and genetic part of the project is focused on identification, as well as spectroscopic and genetic characterization of color proteins from corals. This information will provide insight into the remarkable diversity of the color palette of reef corals, which is an important indicator of the health of coral reef ecosystems. 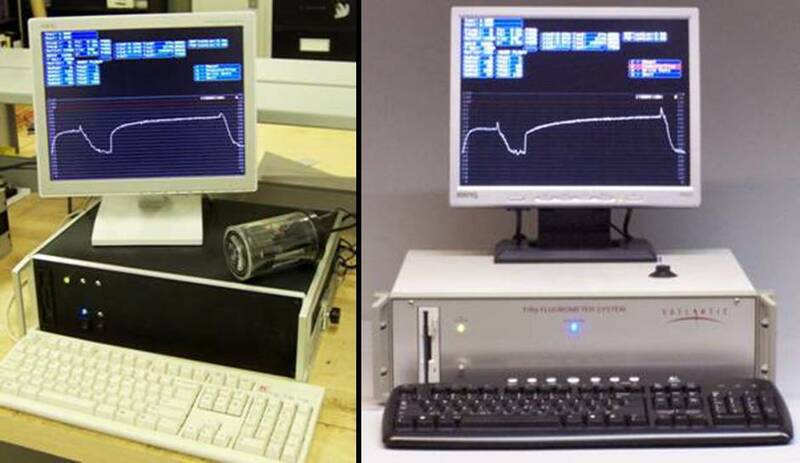 The instrument development includes design and construction of advanced FIRe systems for permanent monitoring stations and autonomous vehicles. Tchernov D, Gorbunov MY, de Vargas C, Yadav SN, Milligan AJ, Haggblom M, Falkowski PG. (2004) Membrane lipids of symbiotic algae are diagnostic of sensitivity to thermal bleaching in corals. – Proc. Nat. Acad. Sci., U.S.A., 101 (37): 13531-13535. Gorbunov MY, and Falkowski PG. (2005) Fluorescence Induction and Relaxation (FIRe) Technique and Instrumentation for Monitoring Photosynthetic Processes and Primary Production in Aquatic Ecosystems. In: “Photosynthesis: Fundamental Aspects to Global Perspectives” – Proc. 13th International Congress of Photosynthesis, Montreal, Aug.29 – Sept. 3, 2004. (Eds: A. van der Est and D. Bruce), Allen Press, V.2, pp. 1029-1031.